Thinking Of Becoming An Online Virtual Assistant? Are you thinking of becoming an online virtual assistant but are a little foggy on what services you should offer? Begin by accessing what you’re good at and what skills come naturally to you, what strategies you would like to put in place for other people, and what set of skills could you put together in a package that would be applicable to the people you’ll be marketing your services to. Here are 8 skills you can get paid for as a virtual assistant. What Is A Virtual Assistant And What Do They Do? A virtual assistant (VA) is a type of personal assistant that performs a variety of jobs to keep their employer’s business running smoothly. These tasks are done remotely, or virtually, hence the term “virtual.” Virtual assistants are typically self-employed entrepreneurs who have personal experience with the services they’re offering. The services VAs can offer run the gamut from administrative tasks, such as handling appointments, making calls, and managing email, web-based services like content creation, SEO strategies, and website design, along with social media marketing on all the major networking platforms. The trick as a virtual assistant is to figure out what services you would like to offer, and put them together in a concise and attractive package. Here are 8 services you could market to potential employers. Anyone running an online business will at some point need some or all of these services. Business owners outsource tasks to virtual assistants to save time so they can focus their attention elsewhere. A VA can be a sort of personal secretary that completes daily tasks that are somewhat mundane but still need to be done. These tasks include data entry, writing and sending letters, customer service, making purchases, and responding to emails. If by chance you’re a VA for a local business, tasks may be of a personal nature as well, such as running errands, picking up coffee, swinging by the dry cleaners, booking hotels, or arranging for flights. VAs could also update and organize calendars and to-do lists. Some business owners struggle with paperwork and staying organized, and would love someone who thrives on organization to tackle these types of tasks. These are situations in which having a virtual assistant, would not only save time, but a lot of headache as well. The cornerstone of any blog is its content, which needs to be created on a consistent basis. As any writer knows, writing weekly blog posts takes time, not to mention it can be harrowing to come up with compelling blog post ideas and titles week after week. A virtual assistant, with a talent for writing engaging articles can be a godsend, and save a lot of time. Aside from writing content, VAs can proofread content or answer comments, both time-consuming tasks. Just coming up with catchy blog post titles is a job in itself, and would be an awesome service for a virtual assistant. They could also find relevant images and videos for posts or track analytics on Bing Webmaster Tools and Google Search Console to see which articles are generating the most clicks. Keyword research is the number one SEO strategy bloggers and entrepreneurs should engage in to make sure their articles are getting found and ranked in Google. It takes time to find long-tailed keywords people are searching for. This is a valuable service VAs can offer that will save their employer time, and greatly improve their SEO in the process. VAs can also optimize content for SEO, such as adding internal and external links to articles, and making sure the Alt tags on images are not left blank. These are all essential strategies for SEO optimization as is ensuring the meta title and meta description are in place. Along with internal SEO strategies, VAs can assure external SEO tactics are in place as well, including submitting URLs and Sitemaps in Bing and Google, and of course, social media marketing. Social media marketing is imperative today because of the vast number of people on social media. What better way to get exposure for your content and brand than being active on the various networks. This kind of marketing takes time, and would be a perfect task for a virtual assistant. Examples of tasks VAs could be responsible for include, creating new social media accounts and business pages, posting Facebook ads, sharing Instagram stories, managing automation platforms, such as Tailwind and Hootsuite, or spending time liking, sharing, and following people. Accessing social media analytics to see what strategies are converting best is another valuable service VAs can provide. It’s important for bloggers, business owners, and entrepreneurs to have a consistent presence on social media, and VAs can fulfill that need. I make graphics for each post I share on Pinterest. I also make graphics for my blog content. Although this doesn’t take inordinate amounts of time, it does take time, and having a virtual assistant take over these tasks would allow me to focus my energies elsewhere. VAs could also make graphics for marketing purposes, such as business cards and posters or logos and banners for website design. There’s a whole host of tasks VAs could complete under the umbrella of graphic design; graphics for Twitter and Facebook posts, YouTube channel banners and thumbnails, resumes, powerpoint presentations, and Etsy shop covers or even more personal graphics like birthday cards and invitations. The cumulative effect of 20 tasks, that each takes a few minutes, is significant and can save a lot of time if someone else can do them. Email marketing is the best way to stay in touch with people. Automated weekly emails are exceptional for keeping followers up to date with current content, product offers, or available services, and there’s not a more effective way to grow a list of loyal followers. Email marketing, like all other types of marketing, needs to be managed and a virtual assistant could do this quite handily. VAs could configure lists, set up email marketing sequences, create newsletter templates, and keep tabs on how opt-in boxes are converting. They could also design and manage landing pages, making sure everything is running smoothly. Email marketing is definitely an area I would want virtual help with. Editing videos for YouTube or social media is another great job for a virtual assistant. Editing can be time-consuming as can optimizing a video for YouTube. Thumbnails need to be made, images and cards added, along with intros and outros, relevant keywords found, and appropriate links placed in the content beneath the video. And all this for just one video, think of the time required to do this for three or four videos per week, not to mention coming up with interesting content. A virtual assistant could help with brainstorming ideas for video creation as well, and make sure the equipment, like microphones and lighting are working well or help with screencasting and podcast production. Two heads are always better than one. Finding niche-related merchants and affiliate programs with high-paying commissions takes time, and would be another awesome job for a virtual assistant. With the number of affiliate programs and networks out there, it can be a bit overwhelming to sift through which ones would be most applicable for specific businesses, and this is addition to keeping up on creating weekly content. A VA, on the other hand, could delve deep into the ins and outs of individual merchants to see which ones are the best fit, and then request to join the programs they’ve chosen. They could also post affiliate banners on websites and social media, and stay up to date on which affiliate links are getting the most clicks, and change strategies from there if need be. I would love to have an online virtual assistant for my affiliate marketing business. How amazing would that be to have another hand on deck, and never have that nagging feeling that you’re letting something slide. If you’ve been looking for an opportunity to make money online, read my review: “Is Wealthy Affiliate Legit Or A Scam?” here. It’s absolutely free to get started and there are no hidden upsells or fees. 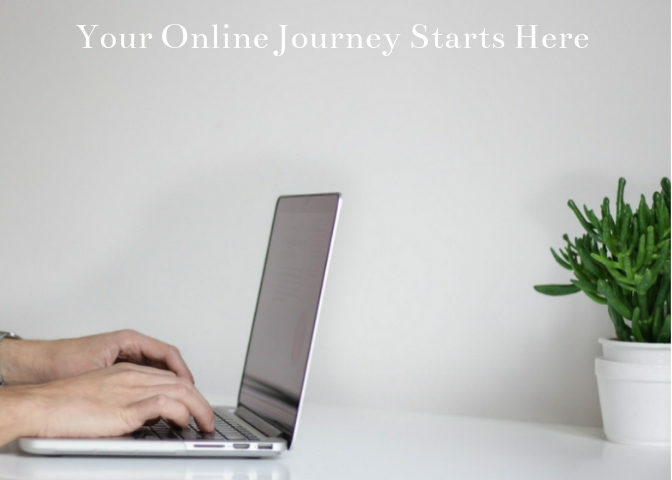 Learn all the skills you need to succeed online, and do it with the help of a supportive community who will quickly answer any questions you have. If this opportunity peaks your interest, you can create a free starter account here, and get a feel for the certification course and how Wealthy Affiliate works. Virtual assistants can be immensely helpful in reducing overwhelm and skyrocketing productivity. People hire VAs to do tasks they aren’t good at or that they dread. They’re quite affordable, and can complete a variety of tasks, such as writing or proofreading blog posts, finding affiliate programs, creating graphics, finding incredible keywords, and managing email and social media marketing. Have you thought of becoming a virtual assistant or hiring one? Please take the time to share your experiences and insights below.